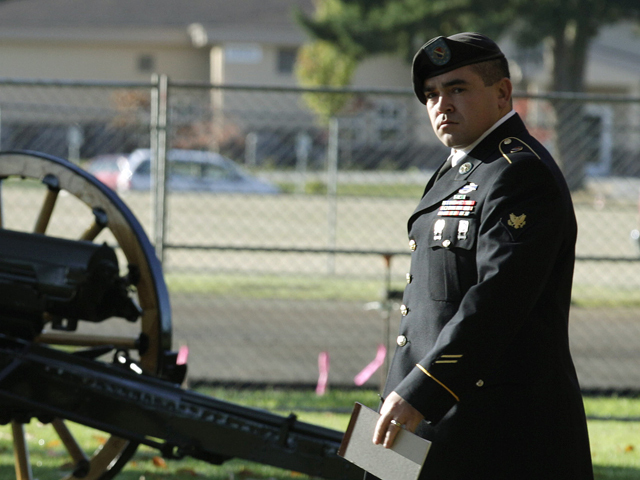 JOINT BASE LEWIS-MCCHORD, Wash. - The Army on Friday dropped all charges against the fifth soldier it had accused of murdering Afghan civilians for sport during a 2010 deployment. Spc. Michael Wagnon, 31, of Las Vegas, had been charged with the unlawful killing of one Afghan civilian in February 2010. He had been expected to go to trial in March. Wagnon's lawyer, Colby Vokey, confirmed the dismissal of charges in an email to The News Tribune of Tacoma. Wagnon had testified that he shot at an Afghan on the day in question because he believed the man had fired a weapon at Staff Sgt. Calvin Gibbs. Gibbs in November was sentenced to life in prison for murdering three Afghans, including the man in the February 2010 encounter. The News Tribune reports Wagnon was released from prison in June under the condition that he wear an ankle monitor.